Planet Radio City Malayalam Gold Live Online . Listen Over 50 Malayalam Radio stations Online . 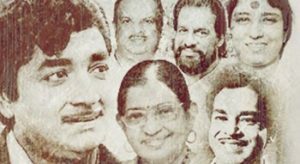 Relive your memories with evergreen hits from the 60s, 70s and 80`s by Mollywood`s legendary artistes. This FM broadcasts most popular malayalam Melodies 24 by 7 . This is one of new channel started by planet radio city for mallu audience . Non Stop Malayalam Classics .